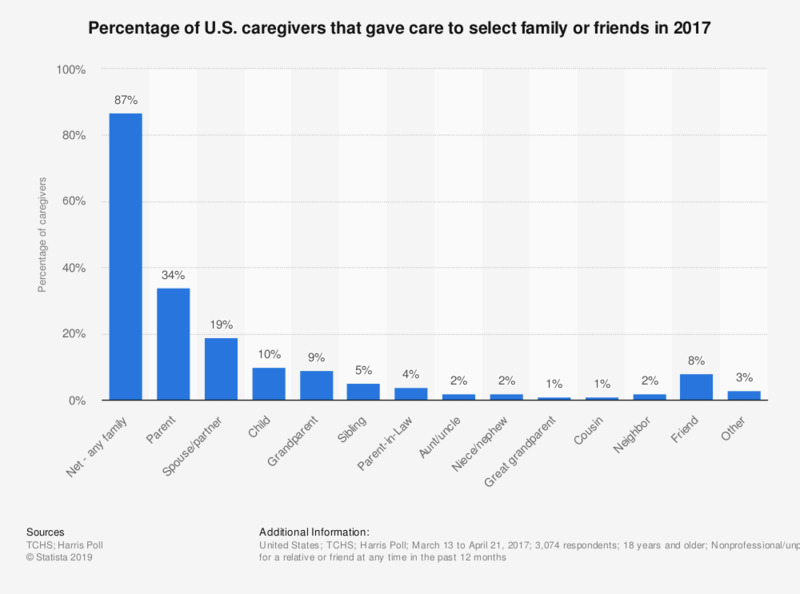 This statistic displays the percentage of U.S. caregivers that gave care to select friends or family members as of 2017. According to the survey, 34 percent of caregivers were caring for a parent, while 19 percent were providing care for a spouse/partner. Original question: "You mentioned providing care for [INSERT ANSWER FROM Q610] individual(s). Please let us know your relationship to the person, their age, and their gender."